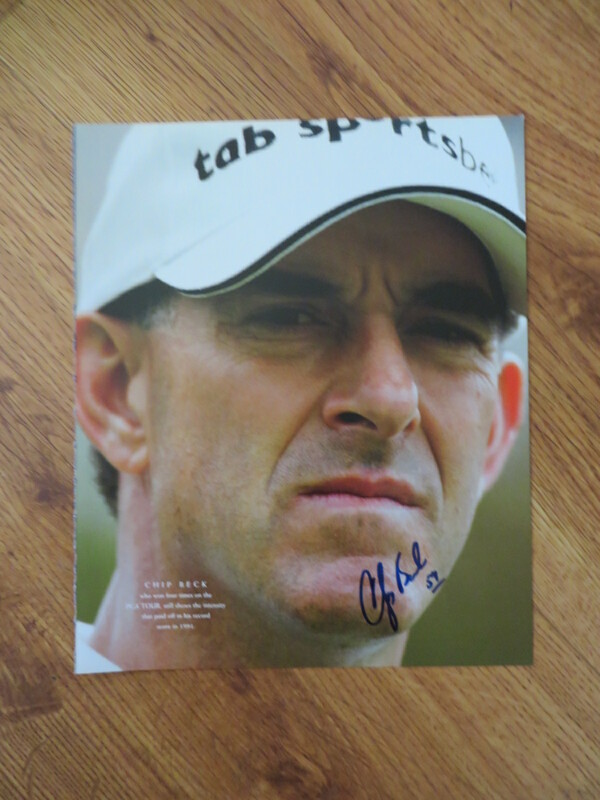 Roughly 10 by 13 inch golf book photo autographed in blue marker by former PGA Tour player Chip Beck and inscribed 59, his record score shot in 1991. Obtained in person, with certificate of authenticity from AutographsForSale.com. ONLY ONE AVAILABLE FOR SALE.